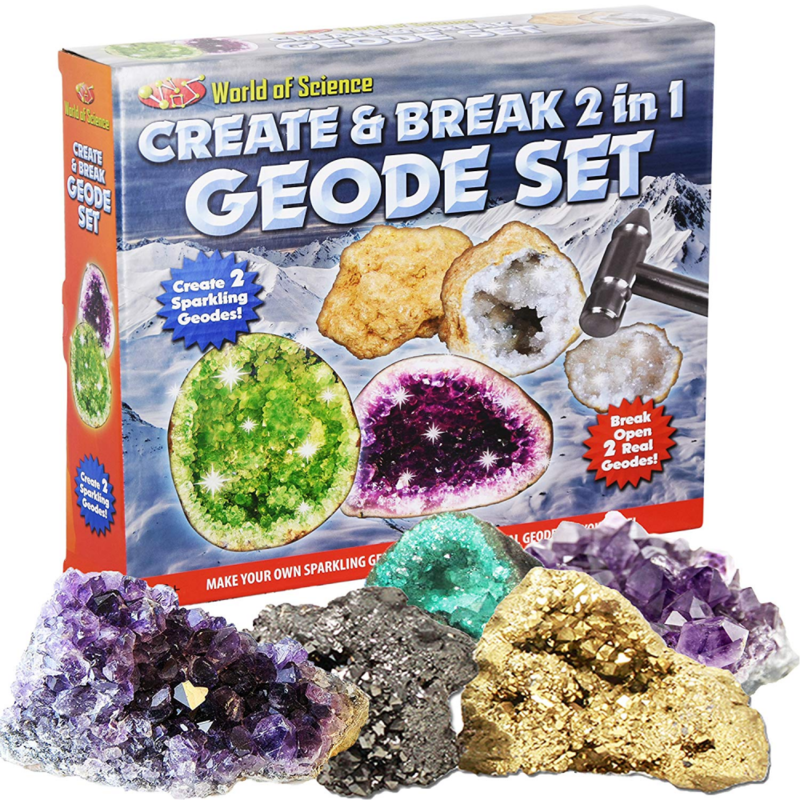 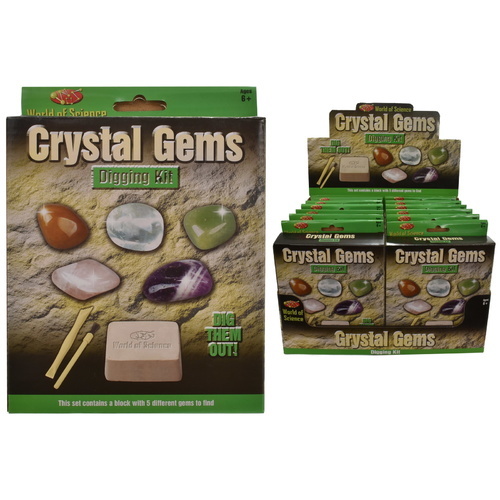 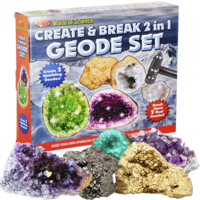 Explore the world around us and beyond with the 2 in 1 Create and Break Your Own Geode Set. 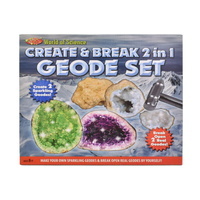 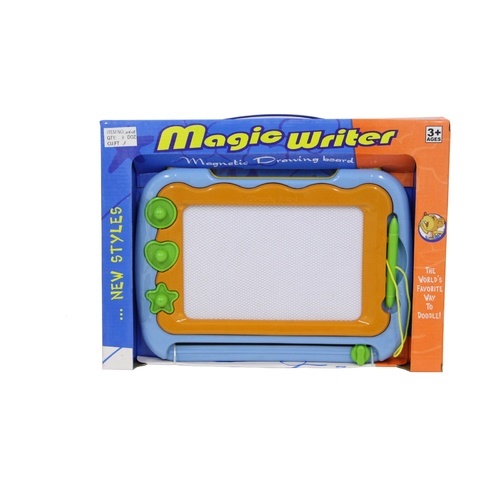 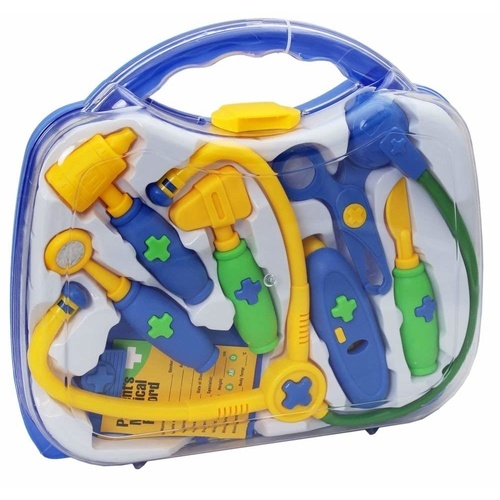 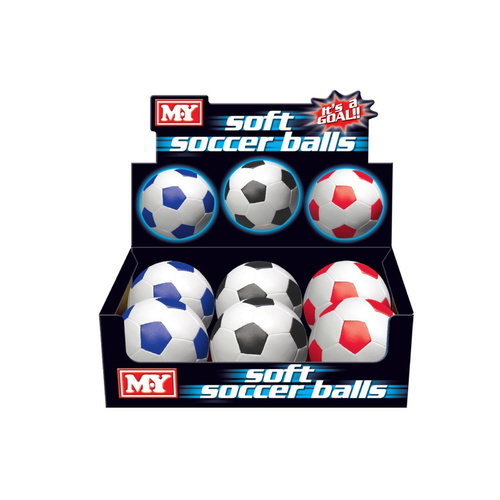 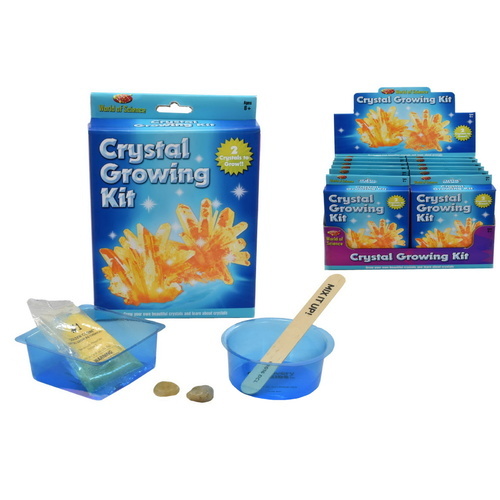 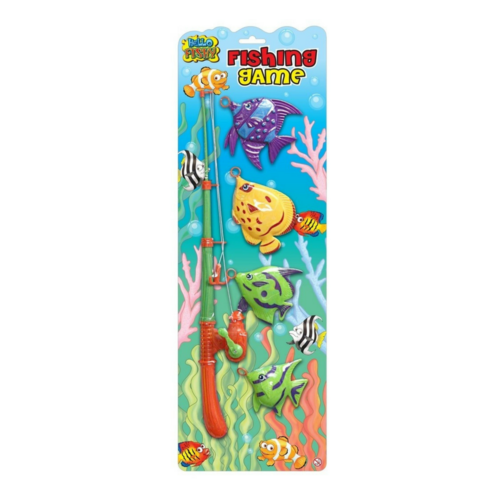 This fantastic science set is designed to introduce your child to the world of spectacular science and dazzling discoveries. 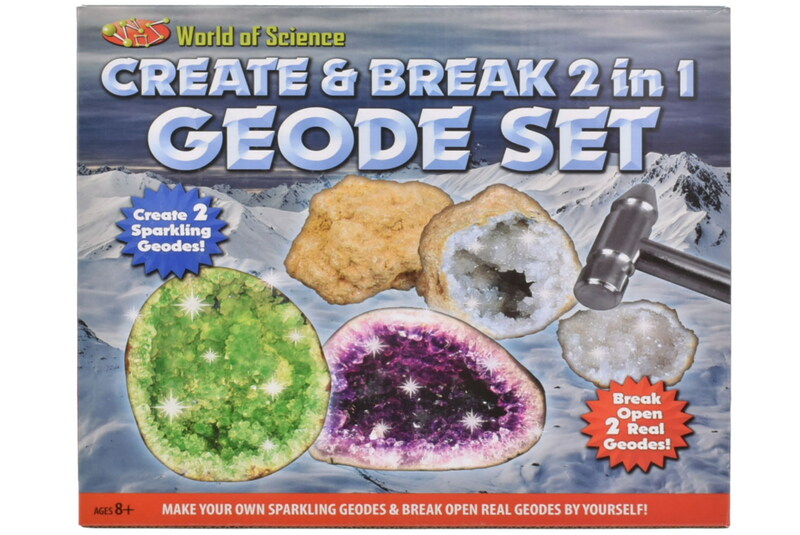 Contents: 2 x Bags of Colouring Powder, 2 x Geode Moulding Shells, 2 x Wooden Mixing Sticks, 2 x Real Geodes, Bag of Crystal Compound, Bag of Plaster, Hammer, Pair of Goggles, Measuring Jug.